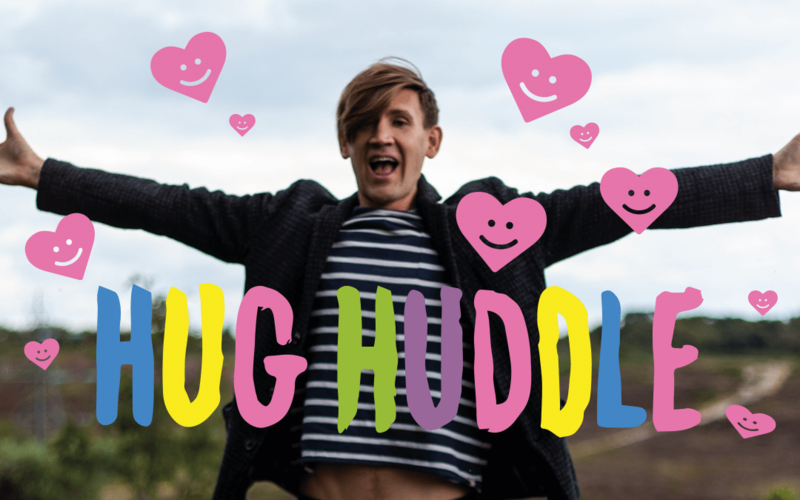 Hi Everyone, I’ve sorted us out with a space in the center of London to come together and hug. So if you fancy joining in and sharing a moment of connection in public space then we’ll be at Potters Fields, SE1 (that’s next to Tower Bridge on the Thames) from 5.30 – 6.30pm on Monday 26th March. The Hug Huddle is actually the first piece of work in a new series I’m making with the city of Denver called ‘Happy City’. That project is a series of happenings, collaborations and art interventions with the mission to make the public realm (and ultimately those that inhabit it) happier! Excited to see you / meet you for a big hug!